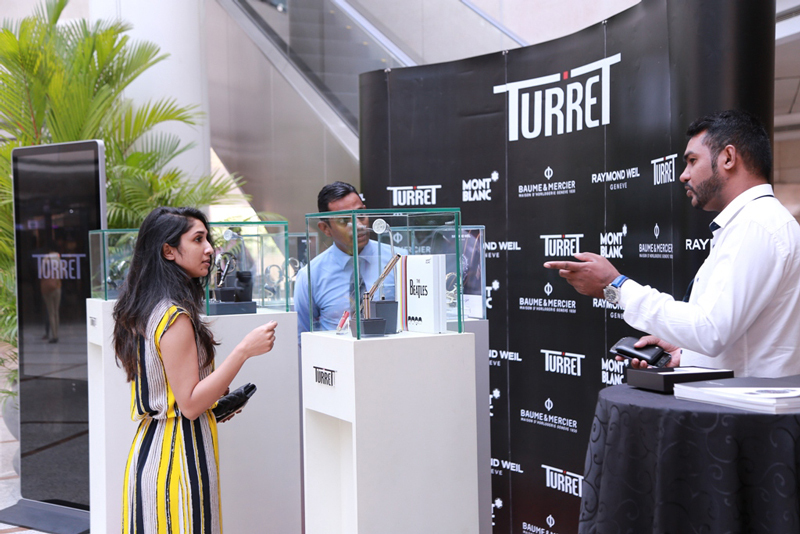 Turret, a top designer outlet that specializes in the sale of luxury watches, writing instruments and leather accessories for high-end customers recently initiated a special promotion at their new store at the World Trade Centre (WTC). The promotion displayed products from some of the most popular brands globally such as Montblanc, Baume & Mercier and Raymond Weil to name a few. The company further stated that it would expand its portfolio of world-class brands enhance its current image with the vision to be both the market leader and innovator in Sri Lanka. This promotional extravaganza allowed customers and visitors to the WTC to check out what was on store and experience these products and purchase these products. Turret has been well regarded as an outlet that caters to a sophisticated clientele offering these world renowned brands to the point of being named as the ‘authorized retailer’ by these respective brands. This in turn makes Turret the only designer outlet in the city to market all these brands under one roof and cater to Sri Lanka’s exclusive and discerning customers. 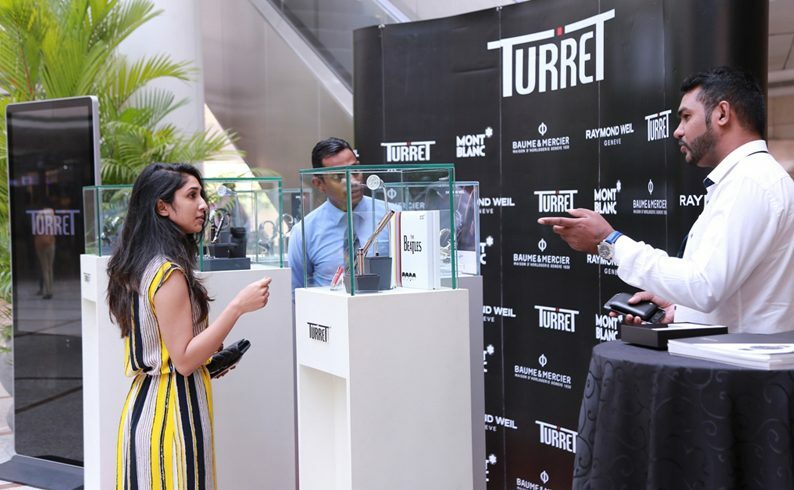 Faizal Mahuroof – Head of Sales and Marketing – Turret commented, “Over the years since our inception, Turret as a brand has reached out to a discerning set of customers in Sri Lanka. Our focus for providing a quality product with attention to customer satisfaction is key values that set us apart clearly”. Apart from the locations in Colombo, Turret is also available in Kandy, at the Kandy City Centre. Since the introduction to the market, Turret has grown in popularity especially among young professionals. Without limiting their services towards marketing these products, Turret also operates a fully-functional Service Centre which offers special repair and maintenance service for all the Swiss brand watches purchased via them. All equipment found at Turret has been designed to be on par with international standards, thus ensuring a quality finish. All the equipment seen at Turret has also been specially imported from Switzerland. To ensure the best of service delivery, all of Turret’s technicians and employees have been professionally trained and well-versed in their knowledge of every unit that is found within Turret’s product portfolio. Turret launched their first showroom in May 2014 at Dharmapala Mawatha and concurrently introduced their service centre to provide after service assistance to their customers. Ever since Turret came onto the designer shopping scene, the outlet had proved to be popular amongst the city’s up-market executives and corporates alike.Following this success, Turret then expanded to their newest location at the WTC, making it more convenient for city folk and tourists to access Turret and experience these luxury brands and their world class service.